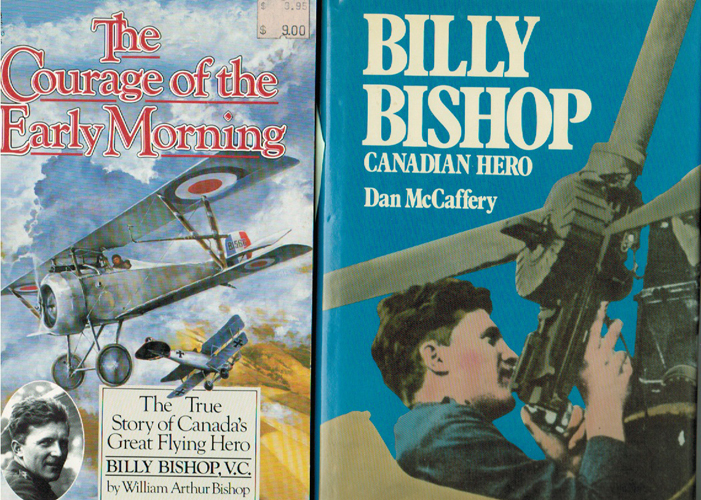 In his 1944 autobiography Winged Peace (a follow-up to his 1918 Winged Warfare), Billy Bishop wrote about the interview process when he wished to transfer from the Canadian Cavalry to Britain’s Royal Flying Corps in 1915. “Can you ride a horse?” Bishop was asked. He pointed out that he was a cavalry officer. Bishop had never driven a car before. “Very well,” he lied. Here was another question he could answer truthfully, although he exaggerated somewhat. “Very well,” he said. The future flying ace was beginning to wonder just how much running, skiing and skating he might be called upon to do, but in 1915 it was believed that people with good balance made good pilots. An ability to withstand cold temperatures was thought to be an asset too. No wonder so many hockey players who enlisted in the First World War found their way into the Air Force. Among them were Hockey Hall of Famers Harry Watson, Frank Fredrickson (both of whom were mentioned in a story recently) and Conn Smythe – as well as the first American-born hockey superstar, Hobey Baker. 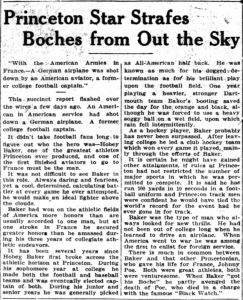 For more on Baker (who died with his orders to return home in his jacket pocket while taking “one last flight” five weeks after the Armistice), you can read his entry on Wikipedia, or the One-On-One Spotlight at the Hockey Hall of Fame, or see the web site for the Hobey Baker Award. But for now, I share with you some newspaper clippings. 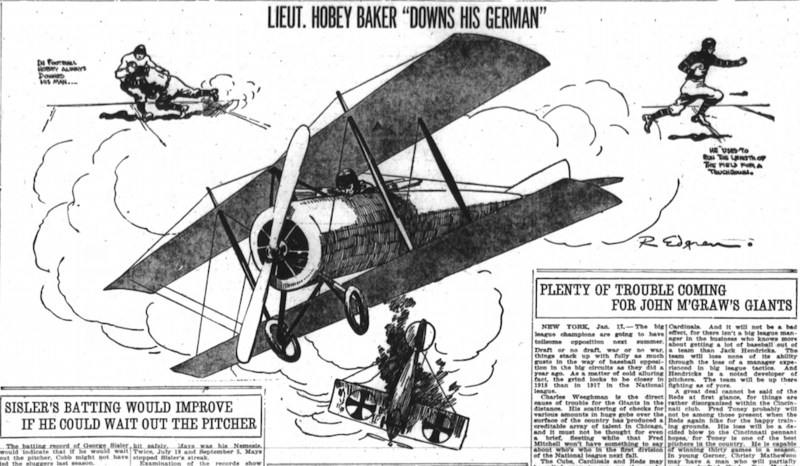 Most of these were printed 98 years ago this month as Hobey Baker took to the skies over the Western Front. American Hobey Baker was big news in Canada too. 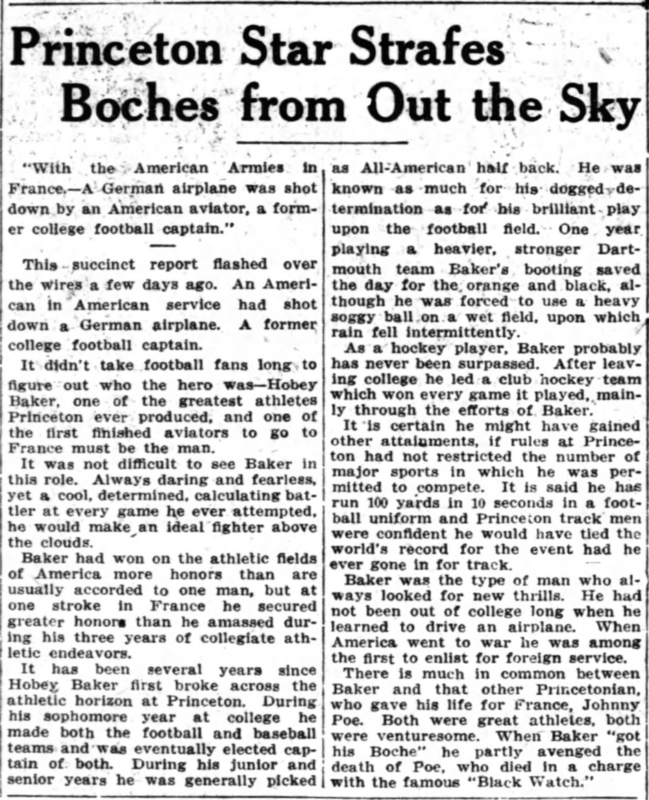 The story on the left appeared in the New York Tribune on January 14, 1918.
confirming at least one flattering Canadian offer for Baker to go pro. From the Fort Wayne Journal-Gazette, January 20, 1918. The cartoon appeared in the Washington Herald on January 18, 1918. The poem had been in the same newspaper on January 13. Great stuff on Baker, Eric. There’s been two bios on him and I’m not sure if any of these clippings are quoted in either. They tend to mention football first which is annoying to a hockey guy, but readers were probably more attuned to the grid game. You’ll no doubt recall from your visit here that we have an exhibit in the X relating to the award named in his honor. I’m reading the Brimsek bio which you’ve alluded to previously. One always learns things they were not previously aware of, in my case, that Tiny Thompson was contemplating retirement. Best for the New Year. When I read your stories, I am always amazed by your knowledge and by your research skills. But then again, I shouldn’t be be because you were doing this when you first learned to read in Grade 1. You spent so much time writing about sports in your daily school journals, much to the chagrin of most of your teachers. I wonder if any of them have seen your books or articles today and feel a little sorry for wanting to stifle you. 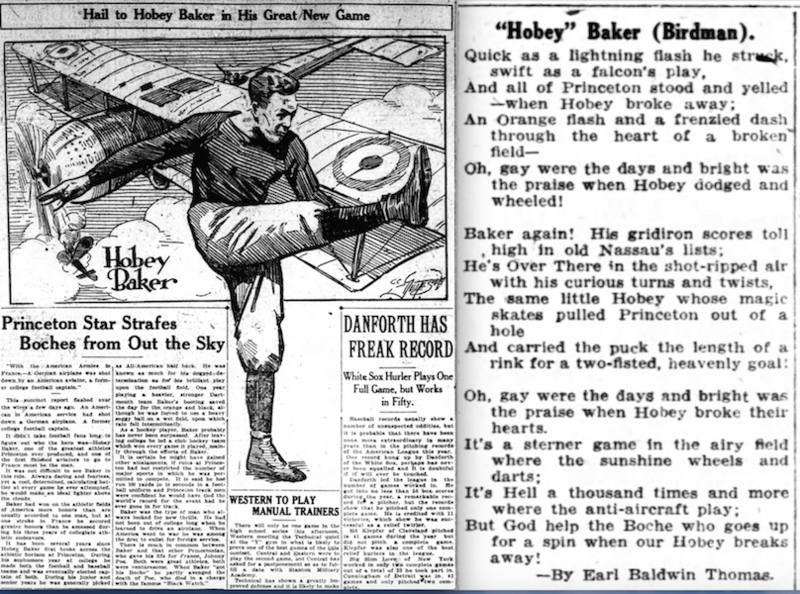 Very very cool story about Hobey Baker…. Love the poem also! Now I know why I like Billy Bishop so much; he thought B-I-G!!!! HAHA!!! !